No comments about Hercules, everything is fine. M-O would better be a support character than control, as his cleaning abilities may heal allies or give them other bonuses. Winnie…I don’t understand why everybody wants him in a fighting game, he prefers running away when he sees some scary stuff. Yet if to think of a set, he would better be a controller like Finnick, slowing enemies down with sticky honey and stunning them with bees(They can attack the enemy after some regulars like chains of Barbossa). @FroBlueFlame, Is this the M-O you’re talking about? If so, I agree that he would make a good edition. MO is a guy? Says who?? 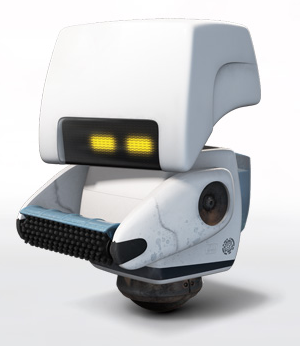 M-0 is my favorite character in Wall-E I’d like to see him in game as a support or damage hero where his skills revolve around him cleaning. Him!!! since when is MO a Him!!! Dats ur opinion my dude. And dats Y it’s good we r all different. Which is the other? MO or Pooh? Hercules is in the game,so it’s down to pooh and M-O. Hrm…but MO seems more compatible in a fighting game…not to mention other Wall-e characters are already in game.